What no reviews? That’s what I thought of when I browsed through Rudra’s discography here on MA. Rudra are one of the few Singaporean bands that actually gain fame in the West. Their later album, Brahmavidya: Primordial I have a couple reviews but this album has none. This album starts off with the melodic piece known as Justified Aggression. A strong thrash vibe is present in this song which is a good thing. While the album is has melodic moments at times, it is not melodic in a Gothenburg sense. The guitar solos resembles a classical Indian instrument known as the Sitar. The guitar solos are the highlight for most of the song. Tremolos are used but not in every song. The drumming is full of double kicks and full of energy. The vocal dwells in the black/death area but there are no annoying high pitched screeches. They are decipherable and there is no thick Indian accent. This is probably because the band members are Indian Singaporeans. The bass in this album very audible and its amazing how Kathi can play complex bass lines from this album live while growling. There are some spoken parts in this album but it doesn’t make this album lose marks. The spoken parts if it wasn’t there will make this album dull. The whole album dwells in the realm of death/thrash with bands like Morbid Angel comes to mind in this. Fans of Morbid angel will make this album much more comparable to their idols with the guitar solos the band plays. It’s present in every song except Ye Immortal One. Ye Immortal one is basically voice samples of prayers and scripture readings. I recommend this album to all Morbid Angel fans out there. Good lead works and melody makes this album amazing. 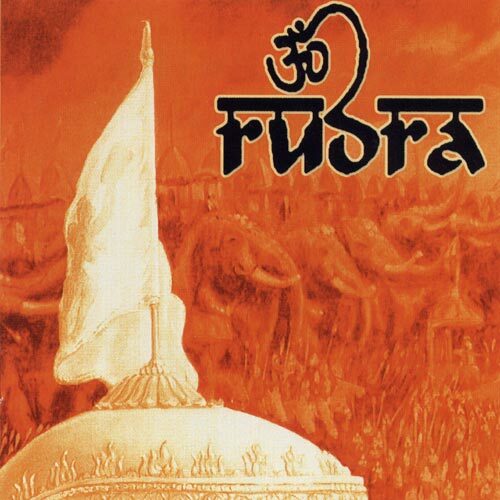 A less well known Rudra album that should be know by death thrashers out there!